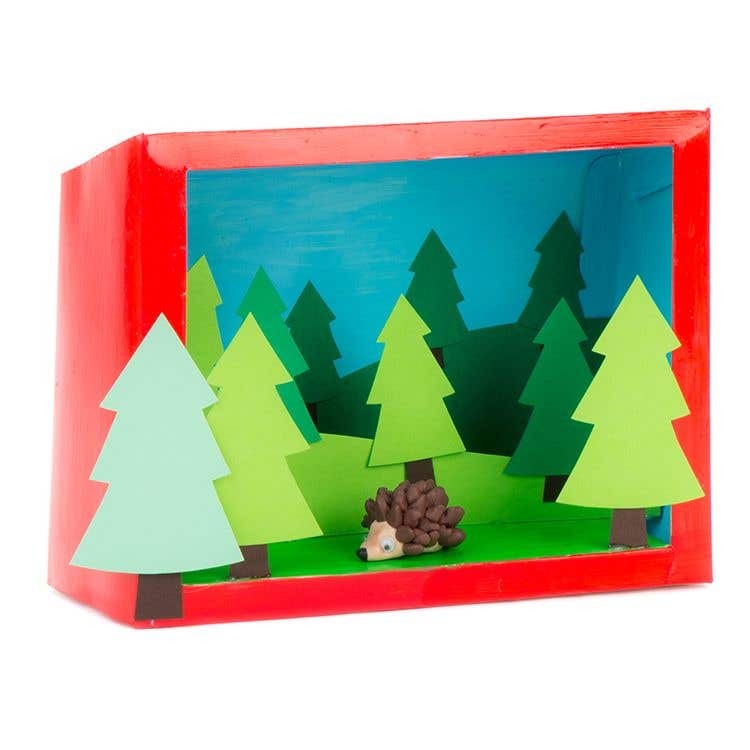 Make your own mini woodland scene using our diorama boxes. 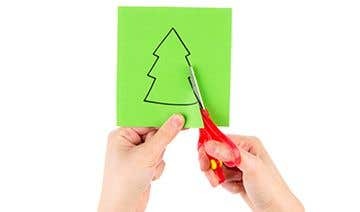 On coloured pieces of paper mark out your designs and with scissors cut out the tree shapes and hills. 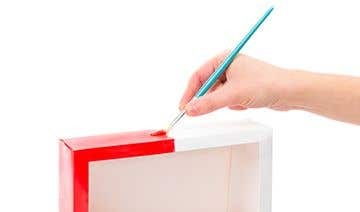 Glue in place starting from the back to the front to create a sense of depth. 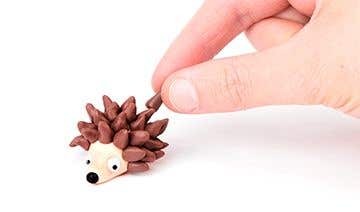 Create woodland models from Fimo soft modelling clay and add wiggle eyes to finish.